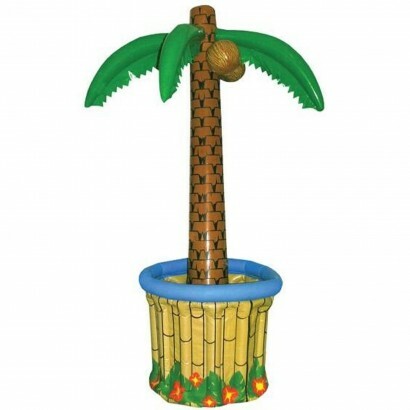 Go coco loco at your next party and serve up party drinks from this tropical palm tree cooler! Standing at 170cm tall your guests won't fail to see this kooky cooler that adds feel good vibes to your party chilling your drinks at the base of the tree. Brilliant for Hawaiian themed events, simply fill the inflatable base with ice and keep cans and bottles chilled for your big event!